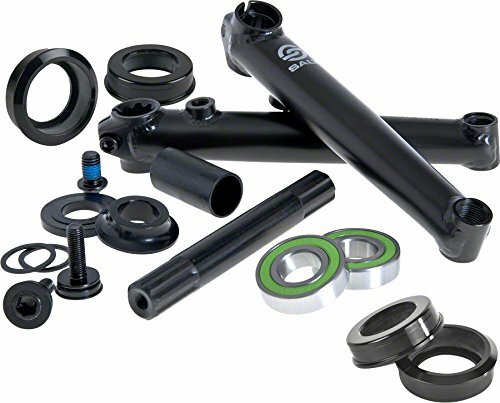 Tubular chromoly heattreated arms, chromoly spindle. Includes bb set; slim crankarm design, left & right side sprocket bolt boss, adaptor for USA bb shell . BB Included:Yes. BB Style:Mid. Bore:19. Color:Black. Crank Arm Material:Steel. Crank Length (mm):175. Crankset Style:3-Piece. Defined Color:Black. Drive Side Compatibility:Right and Left Hand Drive. Spindle Material:Steel.